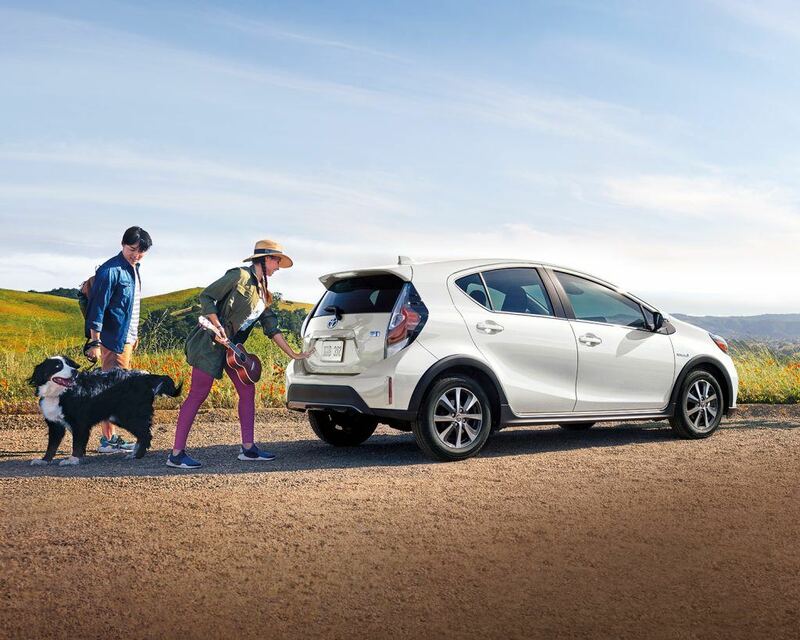 Fun to drive, agile, and versatile – the 2019 Prius c features striking styling, nimble dimensions, and standard Toyota Safety SenseTM C+. 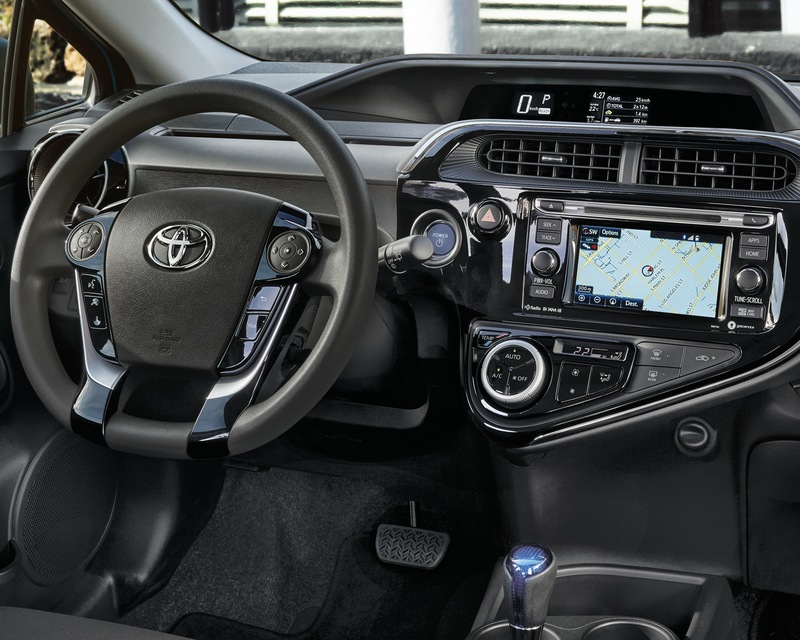 To help you easily see if you’re pressing the right button on the steering mounted switches, Prius c Technology adds the advanced convenience of touch tracer controls, displaying a duplicate image on the standard 3.5” LCD screen. 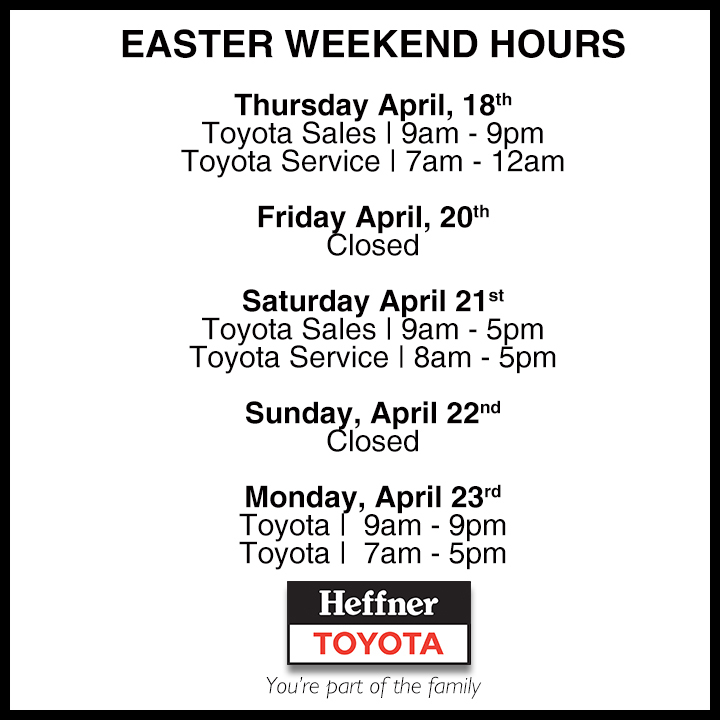 The 6.1 inch touchscreen display audio features an AM/FM CD MP3 sound system with 4-speakers and Bluetooth® capability. Both Technology Packages — Moonroof and Standard — add integrated SiriusXM satellite radio, 6-speakers, display audio with navigation, SMS-to-speech and email-to-speech, phonebook and streaming audio via Bluetooth, and more. 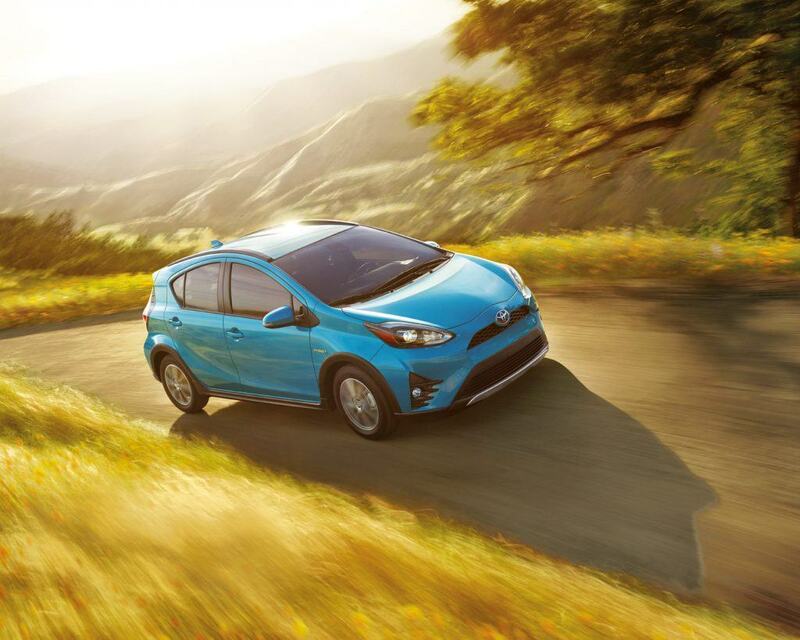 Together, Prius c’s engine and hybrid battery generate 99 Net HP, ideal for the urban landscape. 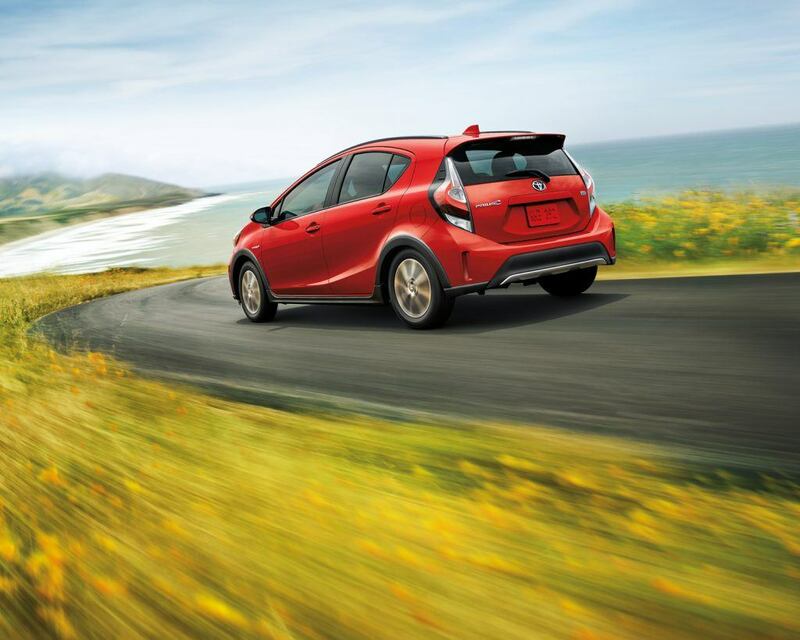 Even more impressive, Prius c delivers city and combined fuel consumption ratings of 4.9 and 5.1 L/100 km. 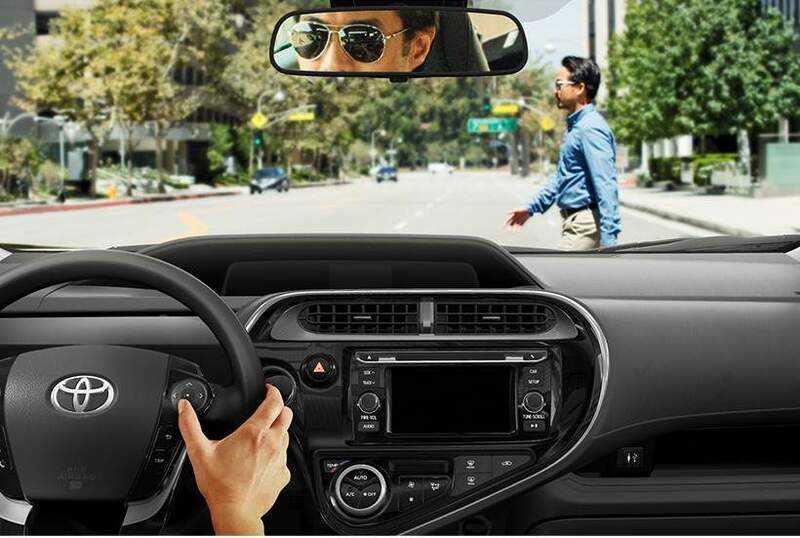 The 2019 Prius c takes safety to the next level with Toyota Safety SenseTM C+* (TSS-C+), a comprehensive array of active safety systems including Pedestrian Detection as part of the Pre-Collision System.